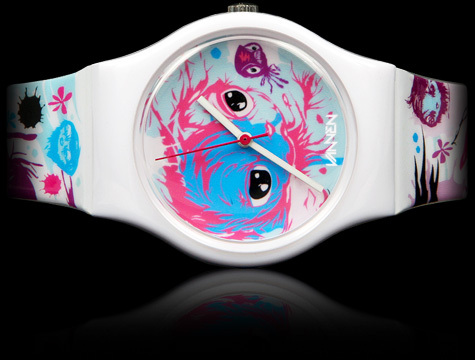 If you were at San Diego Comic Con, you would have seen Attaboy’s “Brine Queen” watch set for $85. There were 5 sets of the 40 for sale leftover from SDCC and are now available online at Vannen. Each set comes signed and numbered, with an exclusive 9″ x 9″ print by Attaboy.